The garden is open free of charge all year round! Building in the log pile is awesome! It’s a great place to go on a Potato Bug Hunt! 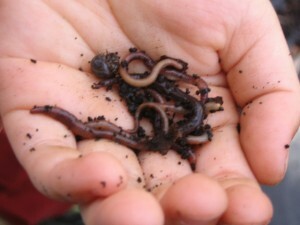 Exploring the worm bin is amazing! Garden events always include a snack walk! Our nature walks are for the whole family! Even our volunteer events are fun for all! GiveBIG, Seattle’s online giving event, is coming up soon! We need your support during the GiveBIG event in order to meet 3 important garden goals: refurbishing our existing interpretive sign and Salmon Survival Path sign, and adding a new wayfinding sign inside the Magnuson playground that points the way to the garden! You can donate online between April 23rd through May 8th at https://www.givebig2019.org. 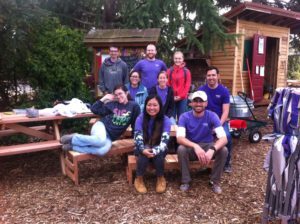 In addition, our fiscal sponsor, Seattle Parks Foundation, will contribute $100 for each NEW donor that Magnuson Childrens Garden receives in any amount during GiveBIG, up to $1,500 for fifteen new donors! Thanks to you, our new Columnar Oak Tree and Sunflowers will be planted soon! Thanks to everyone who donated on Giving Tuesday, we met the Seattle Parks Foundation challenge and received a $1000.00 bonus donation! 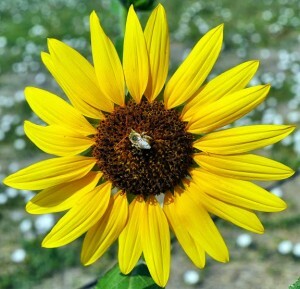 All these funds have now been used to purchase and plant a beautiful Columnar Oak Tree at the top of the Lookout Hill, and to plant Sunflowers throughout the garden every spring from now on in honor of former CG Committee member Barbara Hainley. We are forever grateful for your generosity. And thanks to a grant from the Master Gardener Foundation of King County, our new multi-language entry signs and “discover your garden” activity kiosk will be installed soon too! 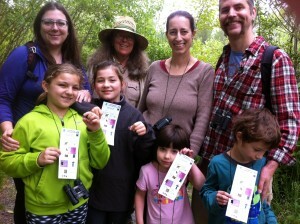 April 27, 2019 10:00 amFREE Daytime Nature Walk in the Magnuson Wetlands! 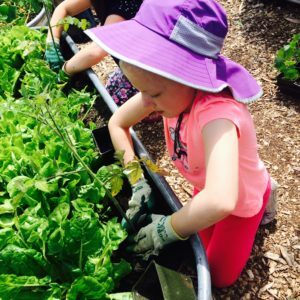 May 11, 2019 11:00 amFREE Family Garden Class! 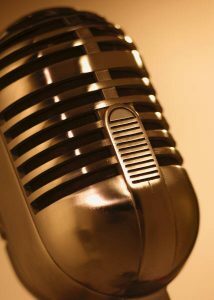 Magnuson Nature News radio show! Magnuson Park has a new community radio station, and the Children’s Garden has its own show! 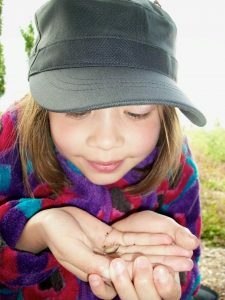 Visit SPACE 101.1 fm to live-stream this month’s radio show or listen to past episodes- each has fun and education info about the flora and fauna of Magnuson Park, interviews with kids and adult nature experts, Children’s Garden event news, and more! All photos by Emily Bishton unless otherwise noted. May not be reproduced without permission. For directions to the garden, visit our Map & Directions webpage. For more information on our upcoming free gardening and nature programs, visit our 2019 Events webpage or send an email to magnusonchildrensgarden@gmail.com. Hope to see you in the garden! Though I’m retired from my Magnuson Park job, I’m still very involved as a Magnuson Children’s Garden Committee volunteer! In the coming year, I’ll continue to co-lead some of the Children’s Garden FREE Family Days, Family Garden Classes, and nature walks, and I hope to see you there!